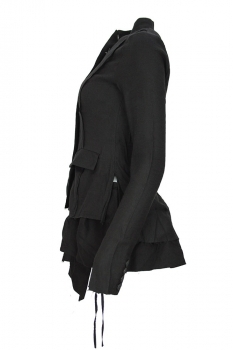 Pal Offner black, round collar with notches, fitted jacket 'Peplum Jacket'. 5 button fastening. 2 pockets with flaps. 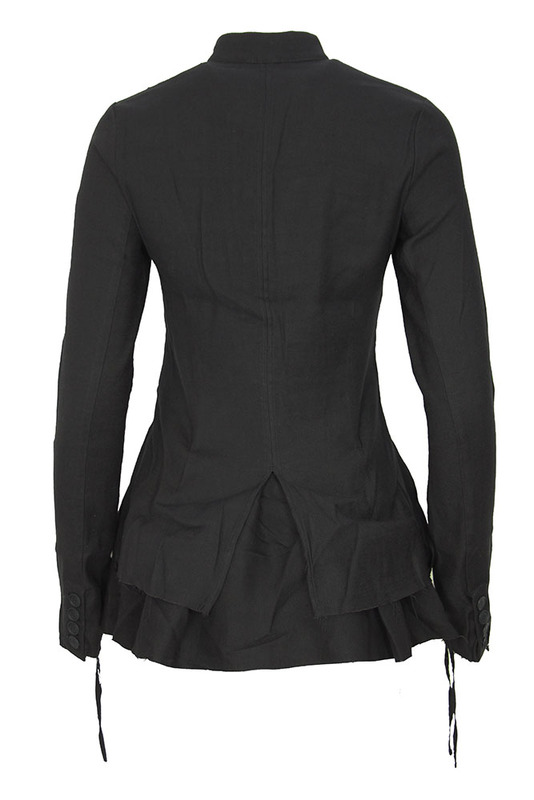 At the hem there is a removable peplum, fastening with buttons inside, this has an elaborate hem with points. Raw edged seam detail down left front panel. 4 button working cuffs with black fabric drawstrings to ruche the sleeves. Single vent at rear. The rear is superb on this piece, with the peplum working to great effect.